Why start from scratch when your ad agency website can be more than halfway finished right out of the box? 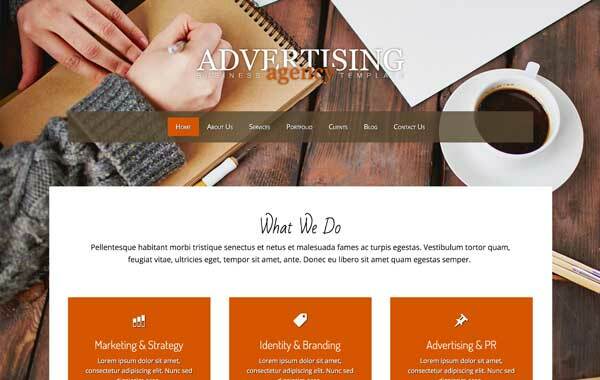 The Advertising Agency WordPress theme is pre-built with all the important pages and features in place. Customize the look and layout without any coding at all! 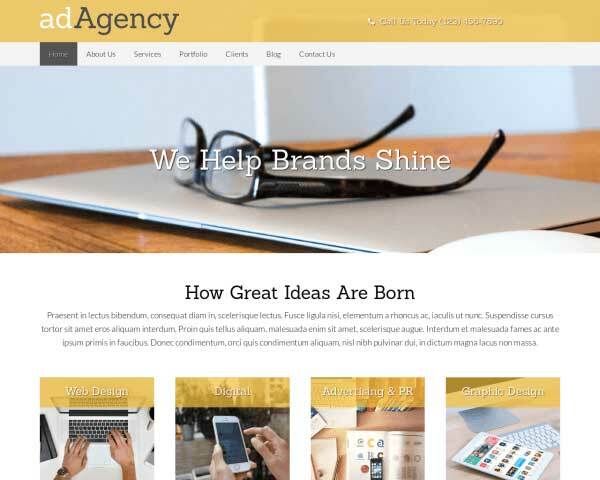 Running an ad agency is a lot of hard work, so save yourself some time, money and effort by building your new website with the Advertising Agency WordPress theme! 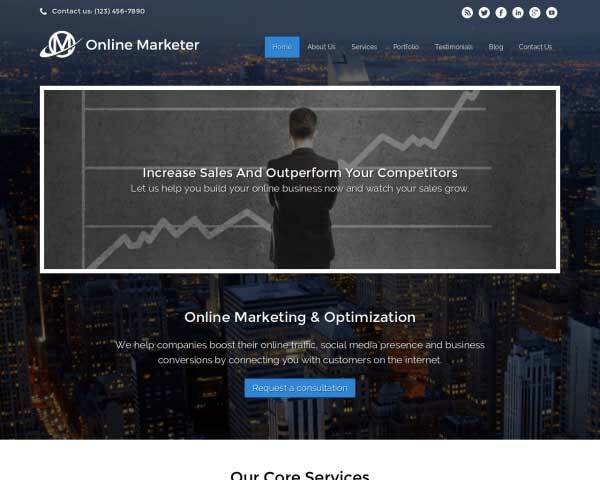 We've designed this website template with a goal-oriented layout and pages already set up for your portfolio of case studies, top clients, company profile, contact details and more. Just fill in your own text and images to get the job done fast, or have some fun customizing the color scheme and layout. No coding is required thanks to our visual front-end editing tool and drag and drop widgets. 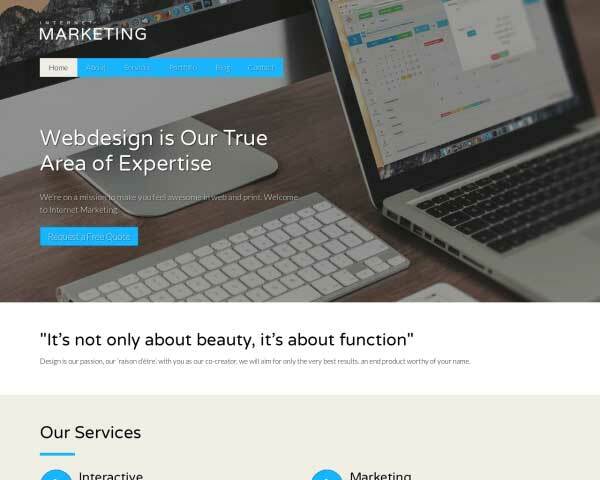 Truly a premium WordPress theme, this web template for ad agencies comes with powerful features that would normally require plugins or tedious coding, like integrated social media and Google fonts, elegant lightbox image galleries, built-in contact forms, an SEO manager, and responsive design. 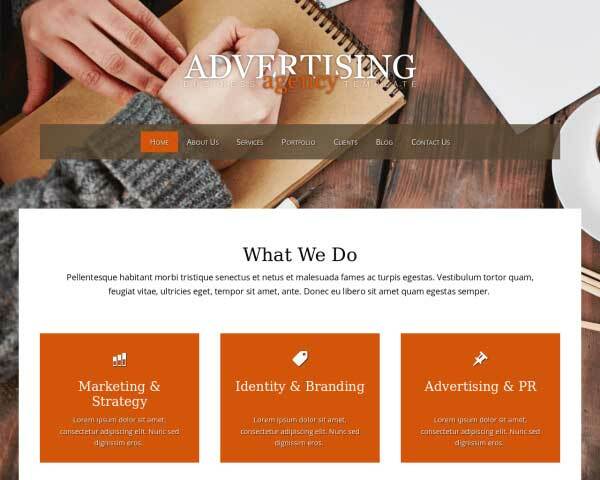 Take a look at the demo site and imagine the possibilities for your own online presence when you start with the Advertising Agency WordPress theme. 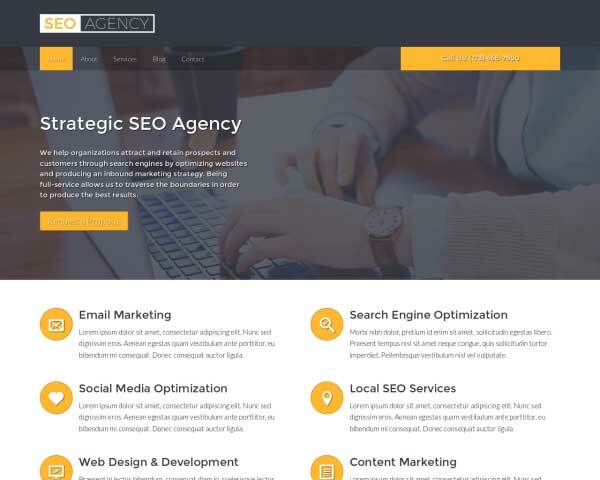 Like all of our themes, this Advertising Agency WordPress Theme comes with a blog all set up and ready for your content. 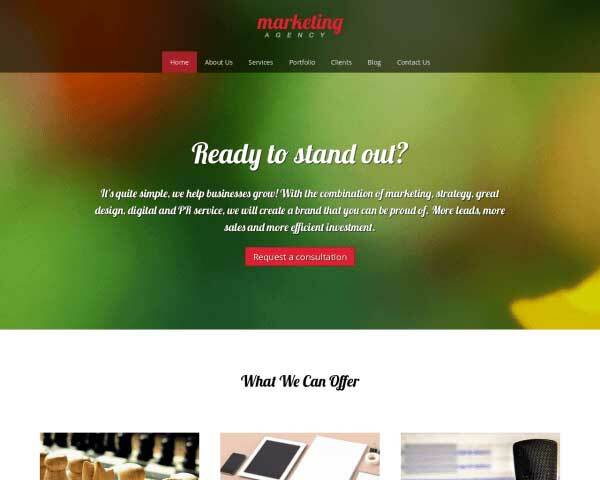 The Advertising Agency WordPress Theme was designed with the needs of a ad executive's website in mind. With an easy-to-navigate layout and industry-specific business features, you'll have a comprehensive overview of your services online fast! Show customers how to reach you on the Advertising Agency WordPress Theme's contact page, designed with helpful features like a customizable contact form and integrated Google map. 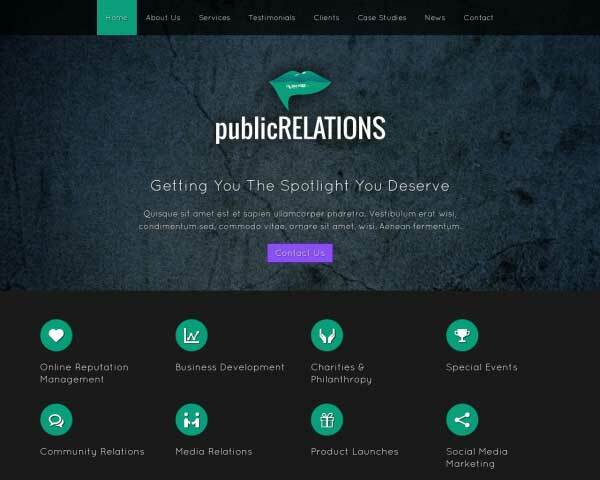 Go into detail about each of your services on the dedicated pages set up in the Advertising Agency WordPress Theme. A list of links on the sidebar allows for to quick navigation to other service pages. 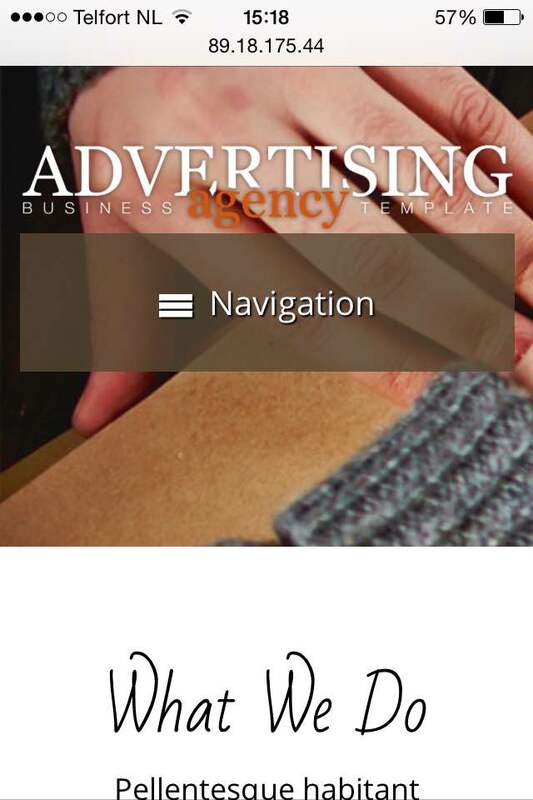 Allow your visitors to see an at-a-glance overview of your services, directly from the homepage of the Advertising Agency WordPress Theme. 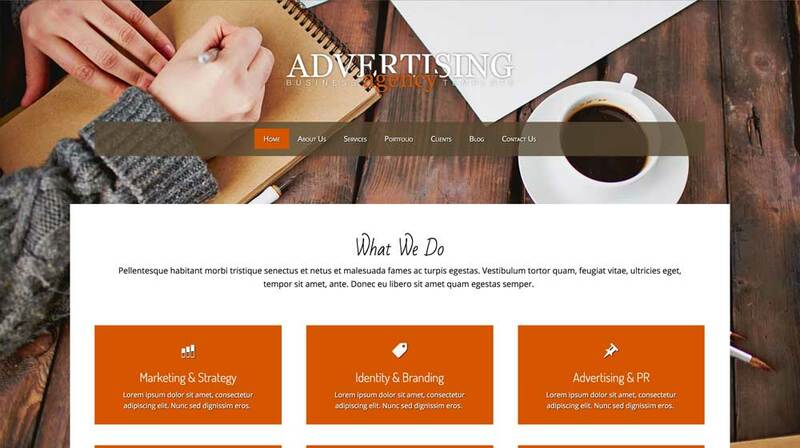 The Advertising Agency WordPress Theme comes with icons for the most popular social media platforms. Visitors can connect with you online or share your content on their own pages. The Advertising Agency WordPress Theme includes an About page with room for your photo and biography. Add rows and use widgets to add more photos, blocks of text or videos. Want a sleek mobile version of your website to impress visitors who use smartphones and tablets to browse your pages? 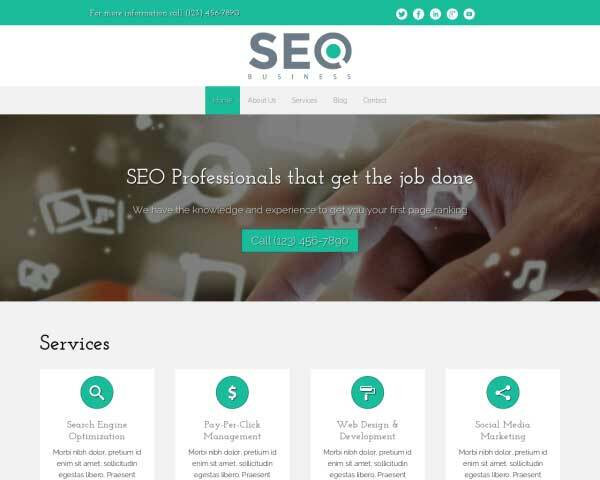 Then you'll be glad to know that this responsive Advertising Agency WordPress theme is mobile-optimized for every type of handheld device. Without any additional coding or plugins, the layout of your content will automatically adjust to display beautifully and work perfectly on every screen size. 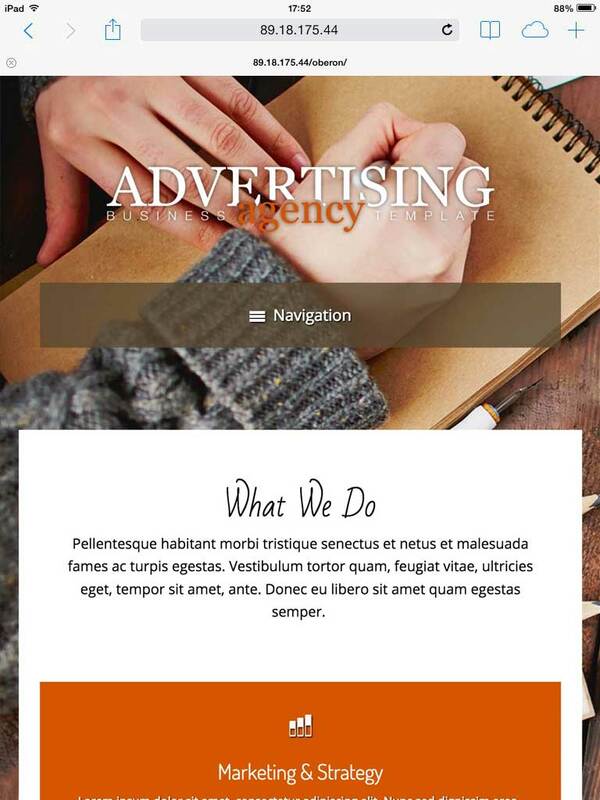 As you add new pages and galleries to your site, or as new mobile devices enter the market, the Advertising Agency WordPress theme ensures that your website will remain effortlessly mobile-friendly.